A screwball not quite up to the heights of the very greatest but with moments as fine as in any. Edward Arnold plays J.B. Ball, the ‘Bull of Wall Street’, a stockbroker so shocked by his wife’s spendthrift habits that he throws her latest sable out of their penthouse and onto the street, where it lands on Mary Smith (Jean Arthur) and changes her life. Ray Milland is J.B. Jr., the well-meaning but directionless son who goes to work at an automat to show his father he can make it on his own. Soon everyone thinks Mary Smith is the mistress of one of the richest and most powerful men in the city and she’s showered with luxury hotels, couture and even money. However, it is JB Jr. who’s been staying in her hotel suite after having been fired for stealing a free meal for her and sparking a food fight at the automat. Yes, this is the kind of film where sables fall out of the sky and people wear gorgeous sparkly outfits, live in grand hotel suites, and can stand in their bathtubs amidst sculptures of Goddesses but can’t afford to eat at the automat. Amidst all the farcical misunderstandings, the stock market goes up; it goes down; butlers have views on stocks; everyone’s on the make but everyone’s equally cynical except for Mary, who remains pure throughout, even when she’s furiously rampaging through stockbrokers’ offices with two huge and fluffy sheepdogs. Confusion ensues. Romance wins. Classes are reconciled; all with a gentle wit, much gentler than is usual for Sturges, who wrote the screenplay. Ralph Rainger and Leo Robin wrote the eponymous song, now a jazz standard thanks to immortal cover versions by Billie Holiday and Chet Baker, especially for the film. A mellow big-band version is the only soundtrack. 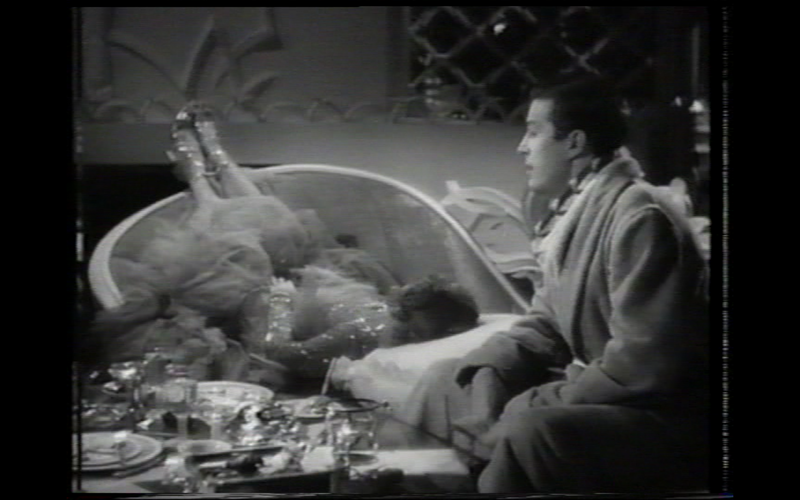 It’s all pretty heaven Easy Living is worth seeing for many reasons: Mitch Liesen sure knows how to film a glamorous image; and Jean Arthur, dressed by Travis Banton and photographed by Ted Tetzlaff, looks particularly lovely throughout — even her shoes sparkle and glow. 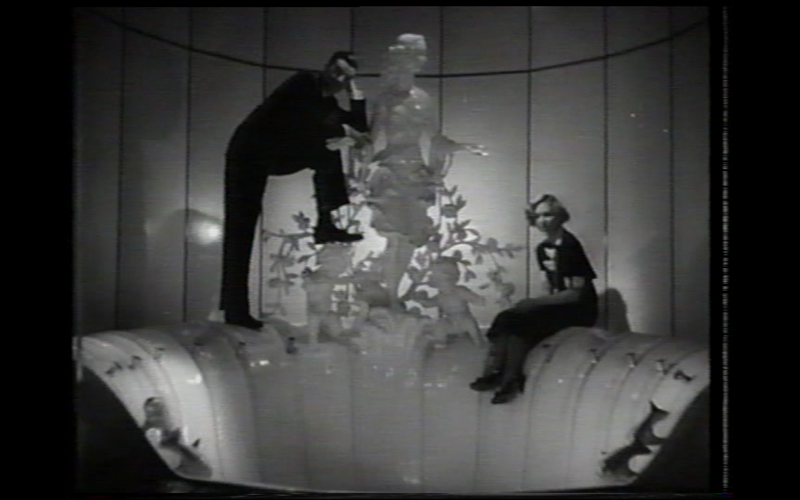 The theme of appearances and advertising is one that Sturges would mine later, more thoroughly, and to slightly different effect in Christmas in July. Franklin Pangborn offers us Van Buren, an expert stylist of feminine couture, and really one of the loveliest of the famed Pangborn pansies. One can even begin to detect the formation of what would later become the Sturges stock company (Pangborn, William Demarest, Robert Greig as the butler). Sturges blamed Liesen for ‘ruining’ his screenplay, which he thought a masterpiece, with bad pacing; and there is something to that: the food fight at the automat is beautifully filmed but the slapstick lacks snap. There are other niggles as well: the character of Mr. Louis Louis, the great Italian chef turned lousy America hotelier, is so caricatured it borders on the offensive; the last line about Jean Arthur finding her true calling in life cooking Ray Milland breakfast….well, it almost ruins the film. However, this has moments that are at least the equal of anything Stuges ever filmed himself (though more glamorous, less cutting and abrasive; the satire is sharper in Sturges’ own films): the interplay between Edward Arnold and his secretary, the firing of Jean Arthur, the beginning of the automat scene, the sable landing on Jean Arthur — a moment that Rashna Wadia Richards says evokes the spectral eeriness of a surrealist nightmare and that James Harvey believes is the moment everyone remembers from the film — the song; and above all Jean Arthur herself. Has Jean Arthur ever looked lovelier? It’s hard to think of another film in which she’s so carefully photographed and to such glamorous effect. Also, in relation to the classic period, we often talk about faces. ‘We had faces then’ says Norma Desmond in Sunset Boulevard. But we rarely talk about voices. Yet think of how distinctive the voices were also: Bette Davis’ quick clipped pronunciation, Rosalind Russell’s foghorn, Katharine Hepburn’s grating Bryn Mar voice. Personally I prefer the low throaty ones that sound like an intimate whisper. I adore Margaret Sullivan’s, for example. But none affords me as much pleasure as Jean Arthur’s, surely one of the most expressive and distinctive voices of the period: low, soft, with a throaty crack and a squeaky end-note, a hushed sound full of a kind of feeling that first reverberates and then evaporates into a kind of sigh, particularly when it’s uttered in excitement. It, she and the film are a delight.